← Wednesday Was a Big Day! Just Look What Happened When We Took Off the Tape! 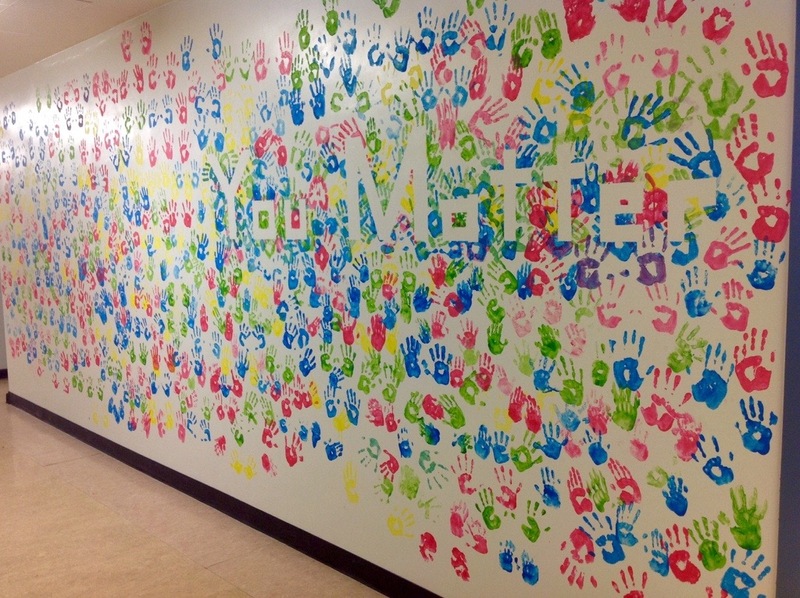 This week was education week and our school project was a giant handprint mural. It didn’t look like much as the week started, but just look at the difference by the end of the week! 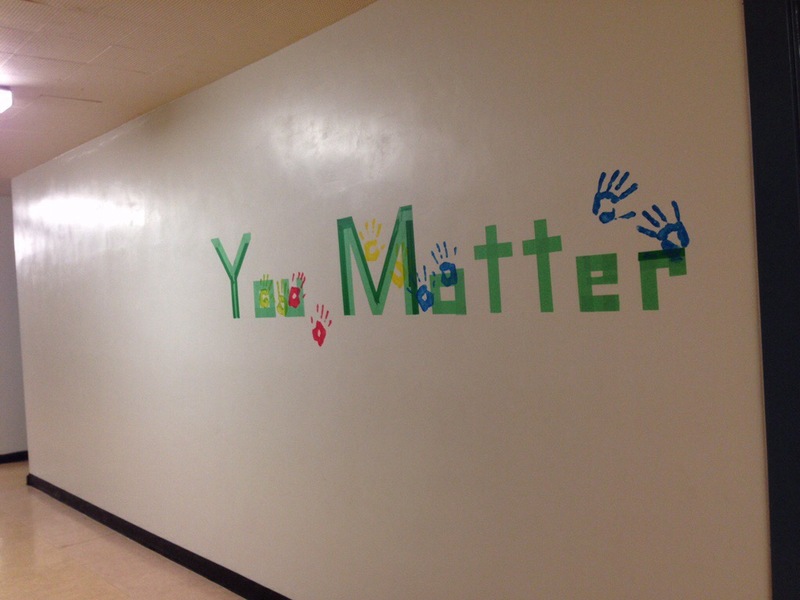 Our students (and staff) matter! Good Morning Genius Leaders and Learners. This is one of the most beautiful and inspiring pieces of art, I have ever seen. It will not only inspire students and families in your school, by sharing it on your blog, you will inspire students, schools and families all over the world!!! I will not be suprised if other schools create this for their community because of your genius and inspiration! Thank you for that comment. We love it. We think it looks awesome, too. It felt yucky on our hands, but we are glad we did it.